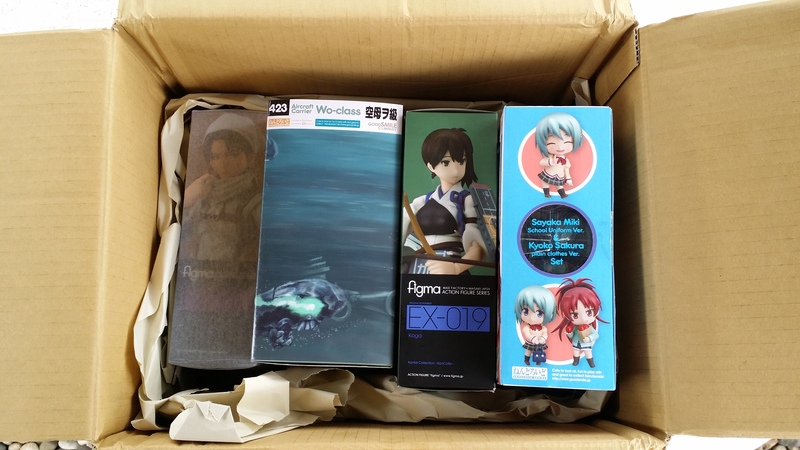 The other day Good Smile Company sent me this huge box containing 4 Summer Wonfes Exclusive samples for figure photos. I would like to thank Mamitan and the rest of Good Smile Company and Max Factory for sending these amazing figures over! 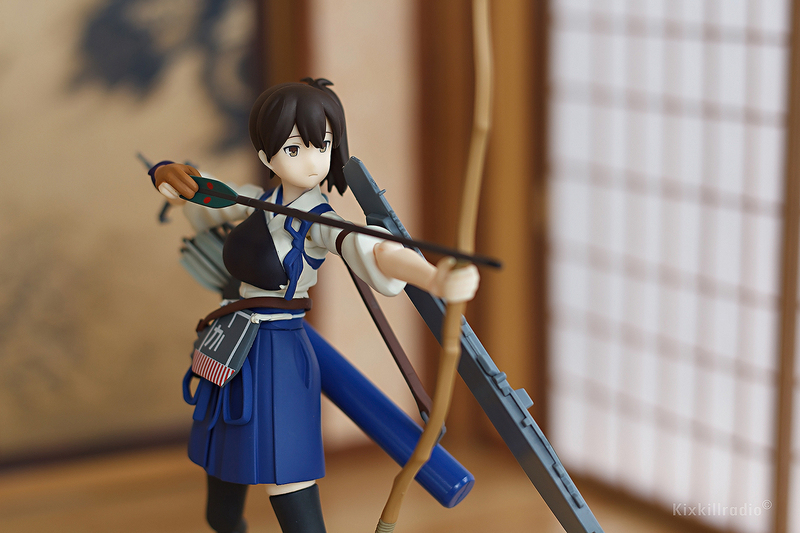 You can also see some of the pictures at Good Smile Company Facebook. 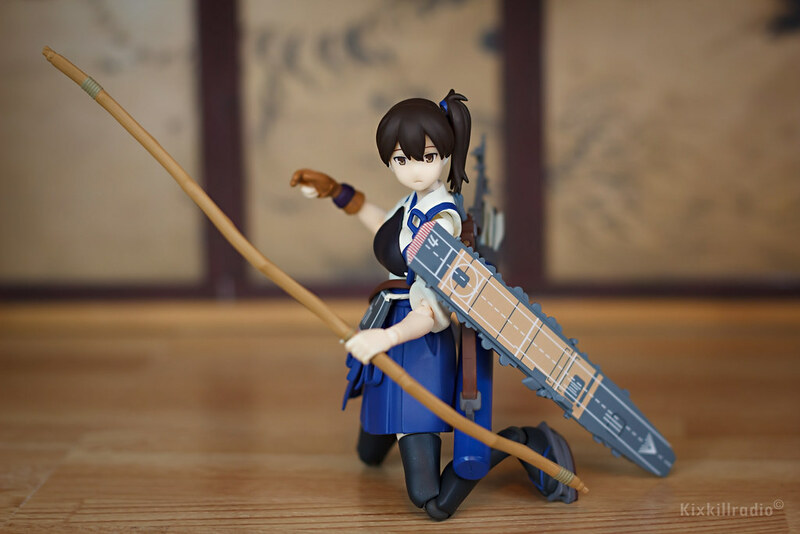 “I’m aircraft carrier Kaga. Are you my admiral? 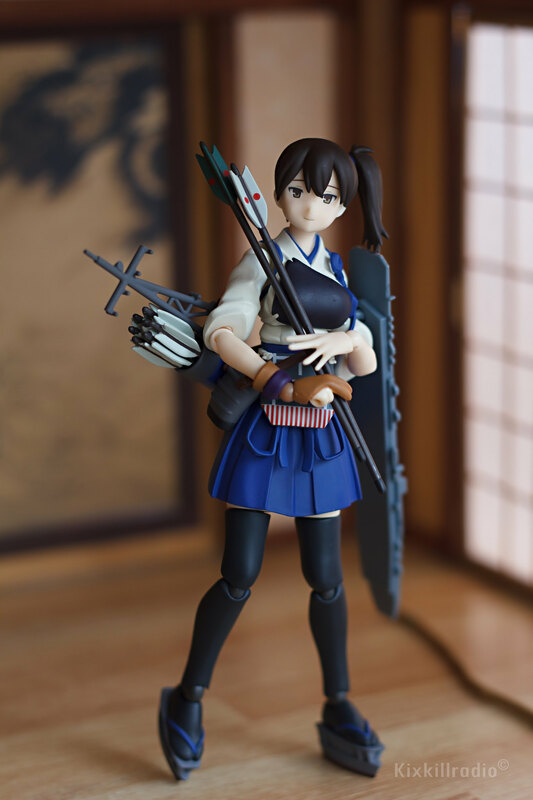 I have fairly high expectation of you.” Today, the first figure that we’ll take a look is Maxfactory figma EX019 Kaga from the popular web game, Kantai Collection by Kadokawa games. 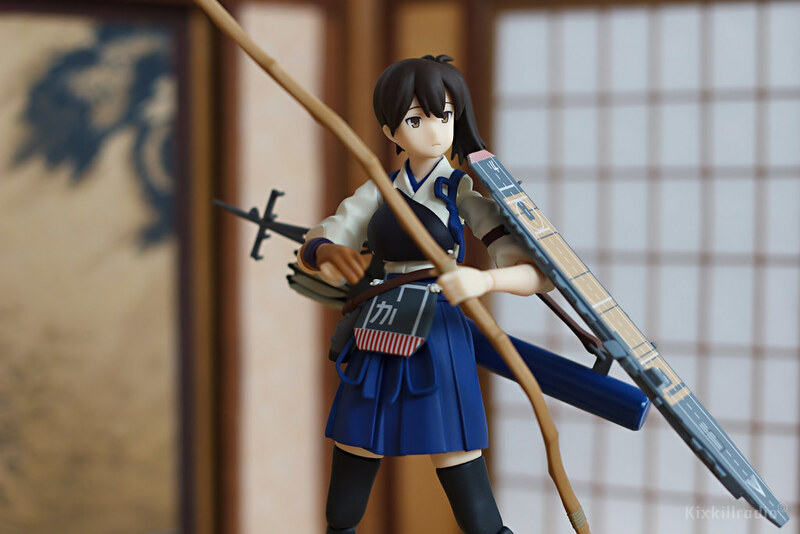 This was first released during Summer Wonder Festival 2014 and it’s still open for Pre-order until August 4, 2014! So don’t miss it guys! Click BUY. She is set to be released on November 2014. 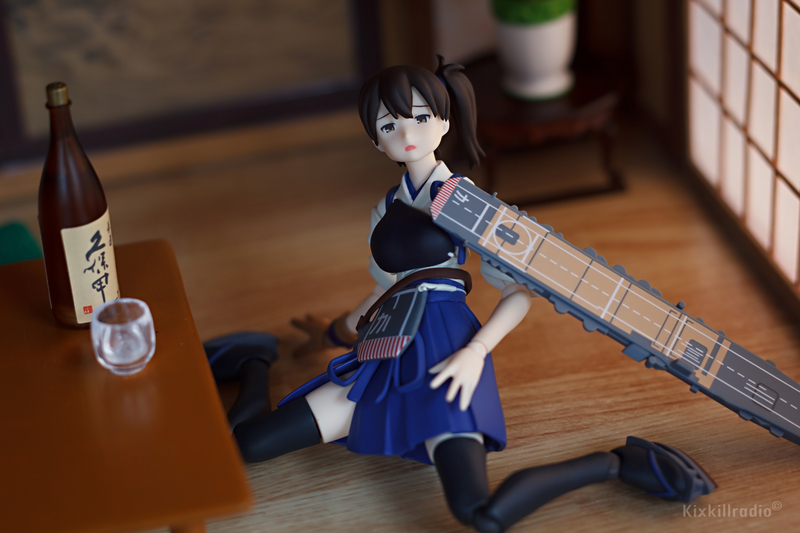 Do you also play KanColle? 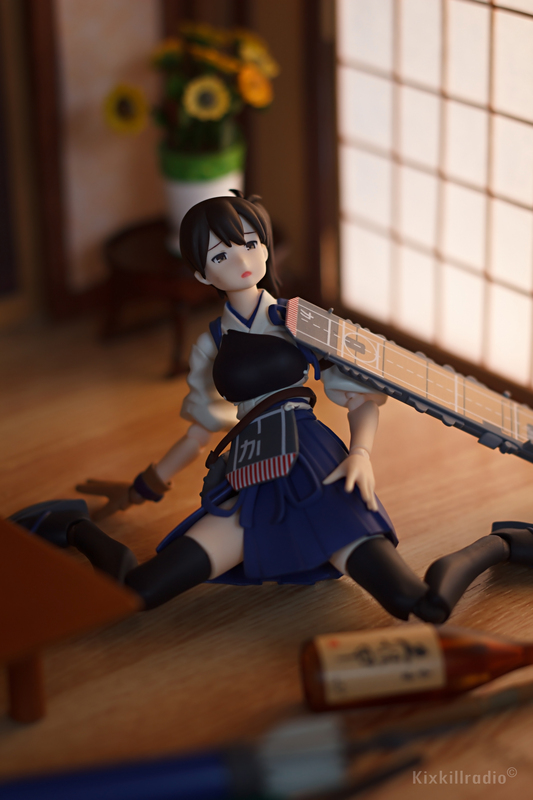 I am not familiar with the character because I do not play the game, however looking at the amazing KanColle figures made by Good Smile Company, it made me regret not getting one. 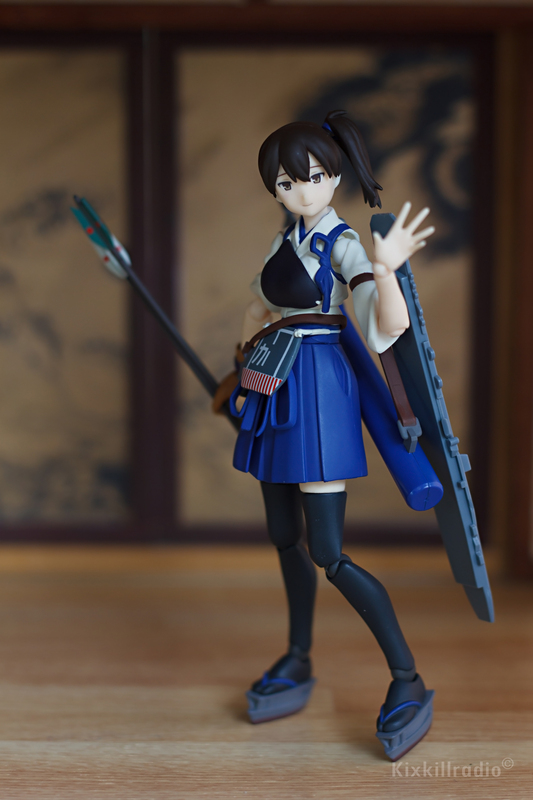 If you were able to order figma Akagi, make sure to get figma Kaga for a complete duo. She comes with 3 face plates, a standard one, smile with a blush and injured expression (it doesn’t look like injured to me though hehe). 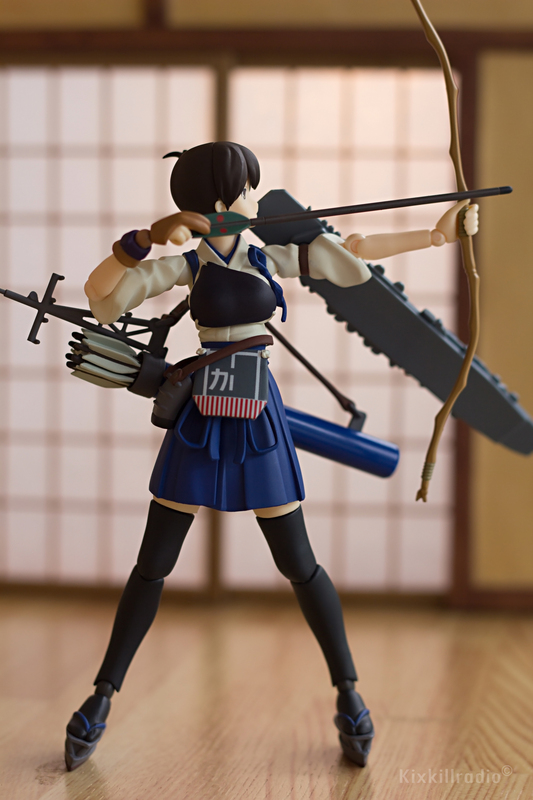 Her bow and arrows, a posable connection of the ship deck are also included. There’s also an ice cream accessory that is included along with other optional hand parts. 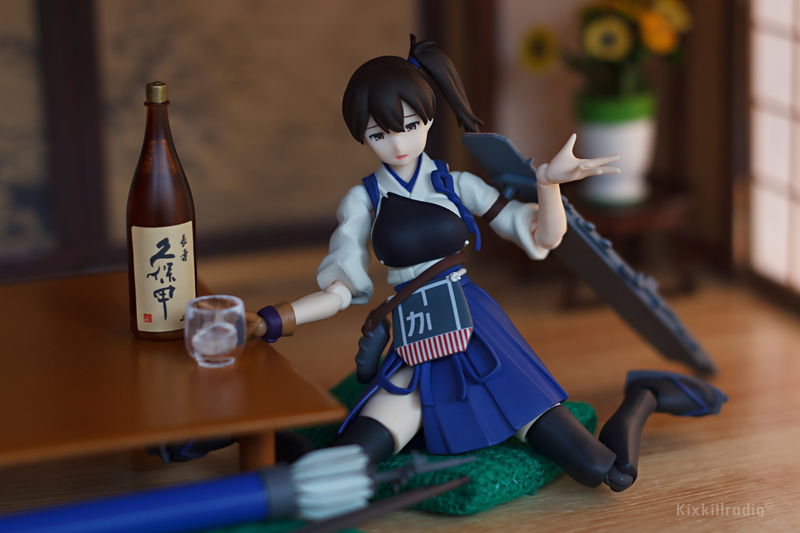 I personally like Kaga’s Japanese traditional dress and style. 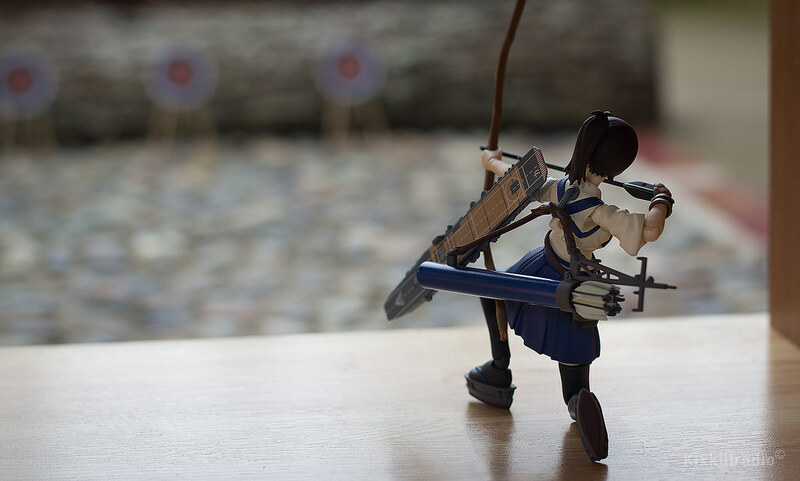 I linked her with Kyūdō (Way of the Bow), a Japanese martial art of archery. 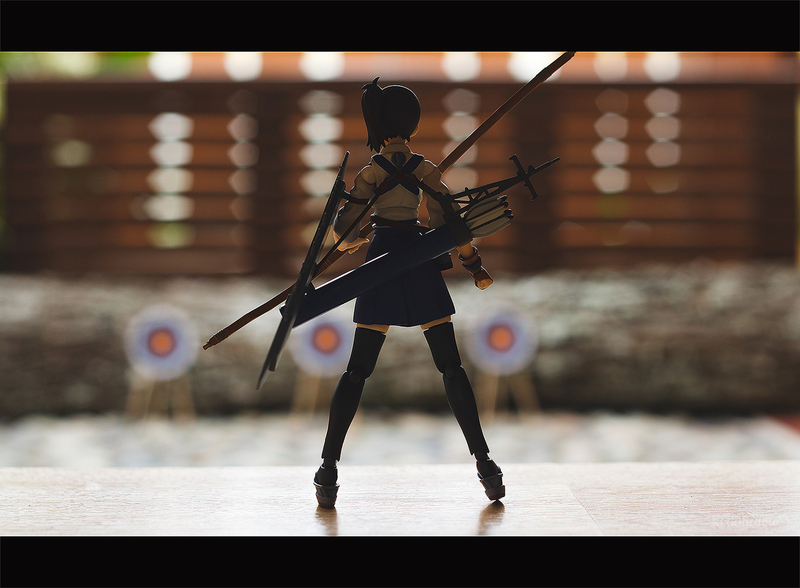 The first set I made is Kyudo-inspired and the setting is a Dojo (training halls). 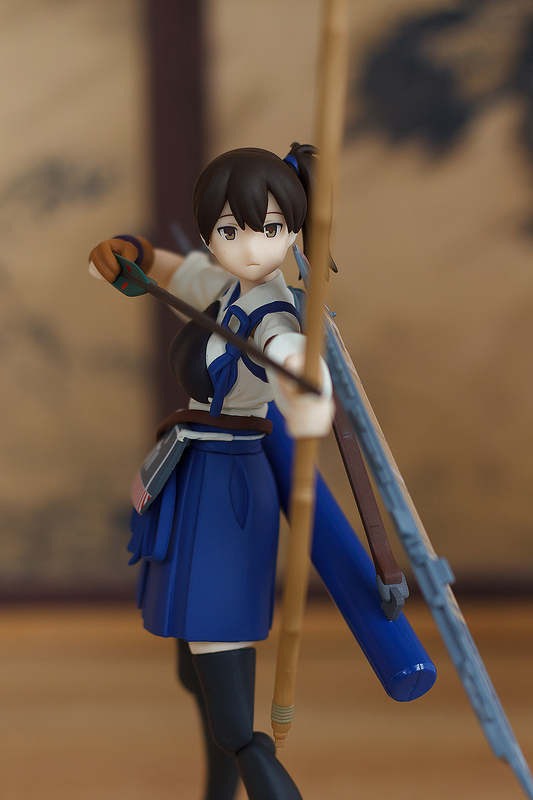 Figma Kaga can stand even without using her articulated stand. Up close, you can see the sculpt and they did a great job with the paint. 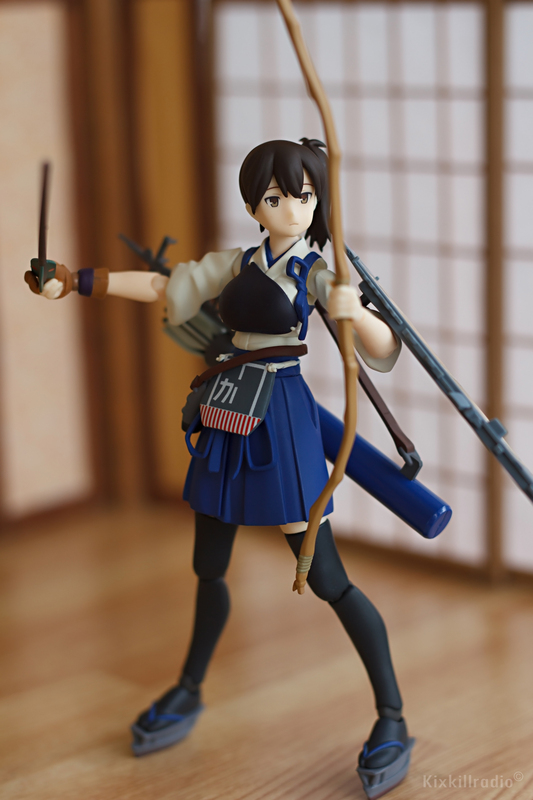 I like action figures that are not dependent to their articulated stands, and this figma gave me different possibilities in posing Kaga when drawing her bow and arrow. This standard face fits perfectly while she’s aiming her target. 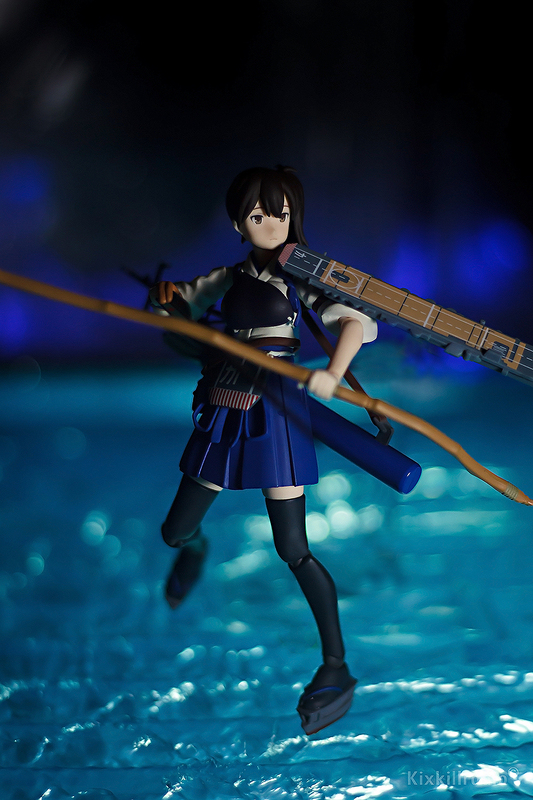 She seems meditating in action which also emphasizes her seriousness in battle. 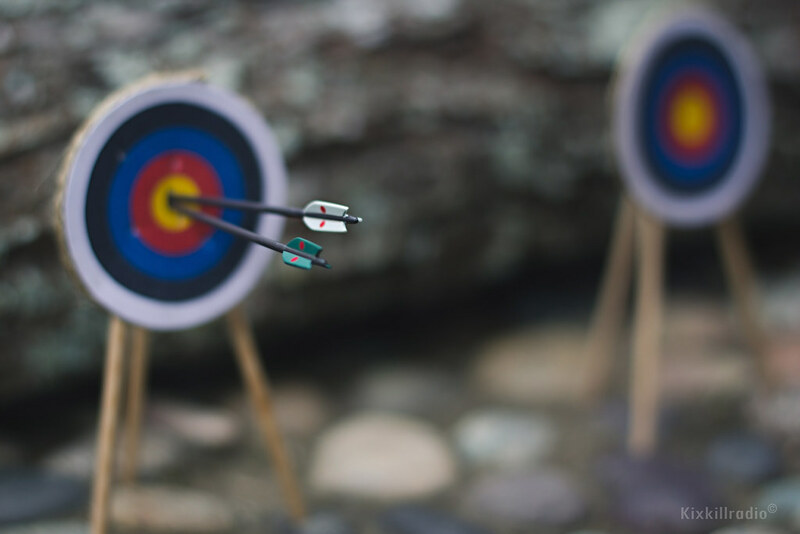 In modern Japan, Kyudo is considered as one of the purest martial art. It practices spiritual and moral development. 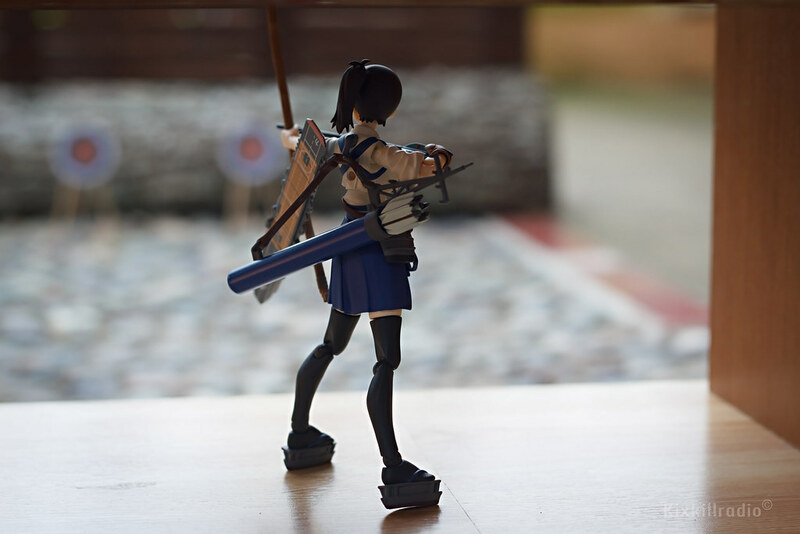 Thanks to Figma’s smooth and improved articulation, you can pose her like this. In old releases, the joints are visibly noticeable compared to new releases. 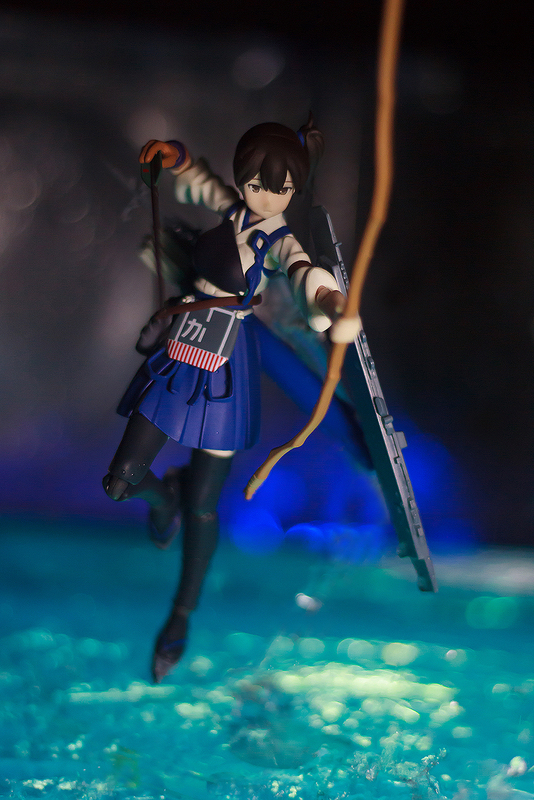 Props to Max Factory for improving that tremendously. She just finished her practice. She needs to grab something to eat. 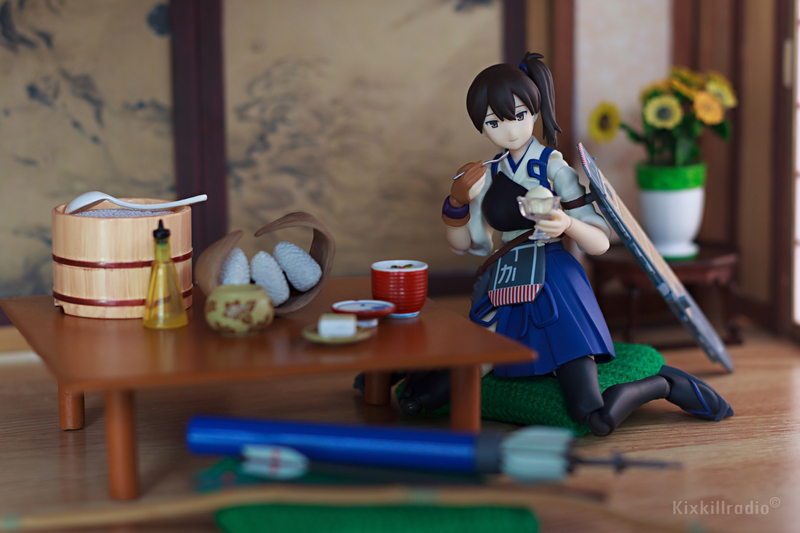 It’d be great if she’s sharing this meal with Akagi. Besides, they’re such a cute combo. With the hand with spoon and ice cream accessories, they are great use for additional props in eating scenario. 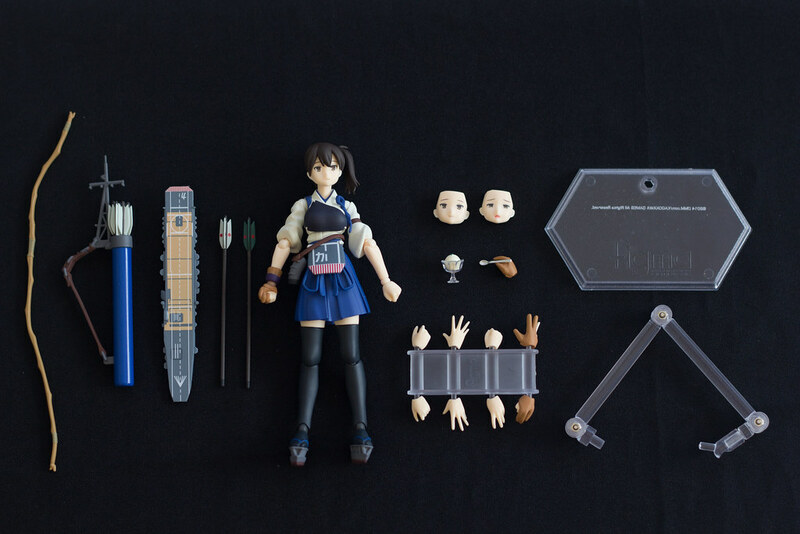 Although, Re-ment miniatures are not in scale for figma (1/12). 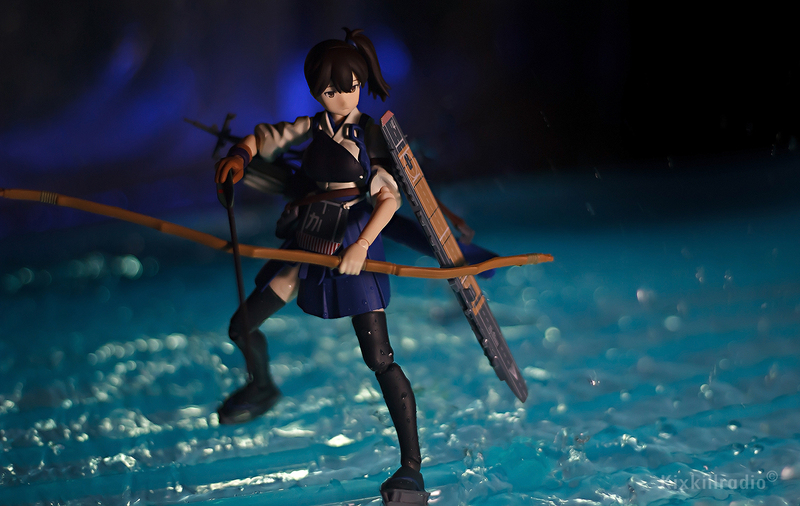 I used real water for the effects this time. I couldn’t count how many shots I made just to get the shot I want but I spilled a lot of water trying to make big waves. LOL. It was really funny. Oh my god! The blooper is just hilarious! Also, I have a question. 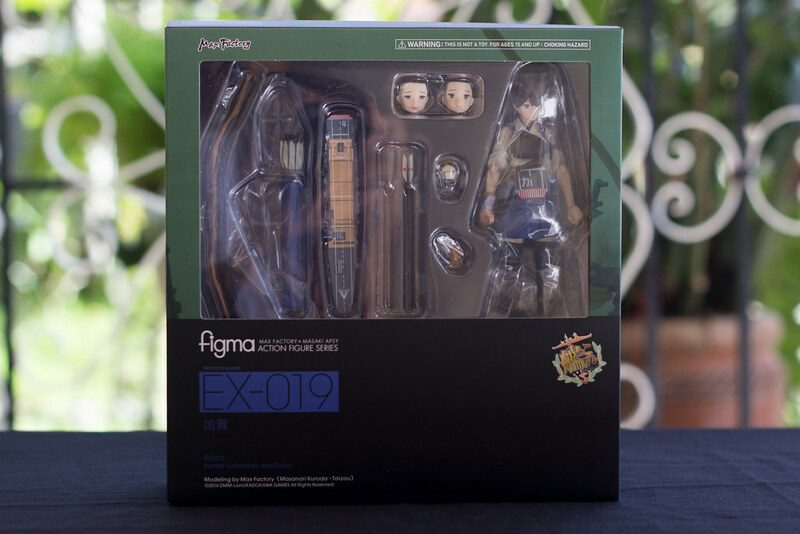 Do you watch all the animes that the figures come from? Cool! Thanks! I think you do a really great job with your pictures and I hope that someday I can take ones as good as these! 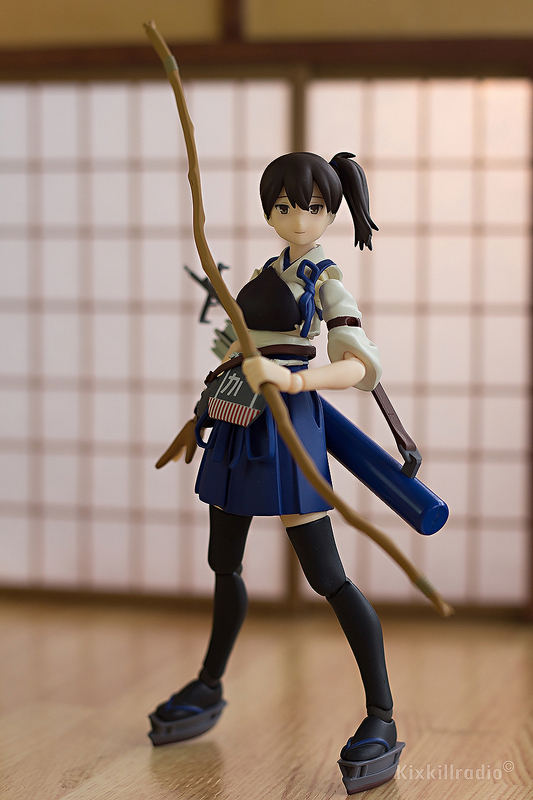 The figma looks really good with her more traditional outfit. It’s pretty cool that parts for fighting are included as well as peaceful parts for eating ice. It’s mote fun with that kind of feedback in different events. The distnctive character illustrations are lovely. You made some really nice pictures with her, btw the color of the water is lovely. Looking at the illustrations via Google, they seem lovely. 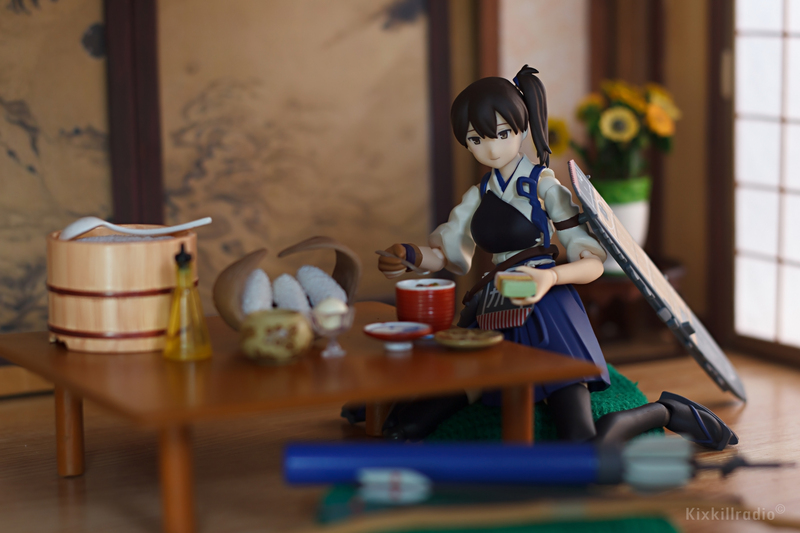 I want to get figma Akagi too! I actually used a blue basin to achieve the color of the water. Since it was shoot in night time and the lights do all the trick. Oh I haven’t heard about it yet, I see, I hope you weren’t hurt.